Cat #20425 | I Want To Draw a Cat For You! 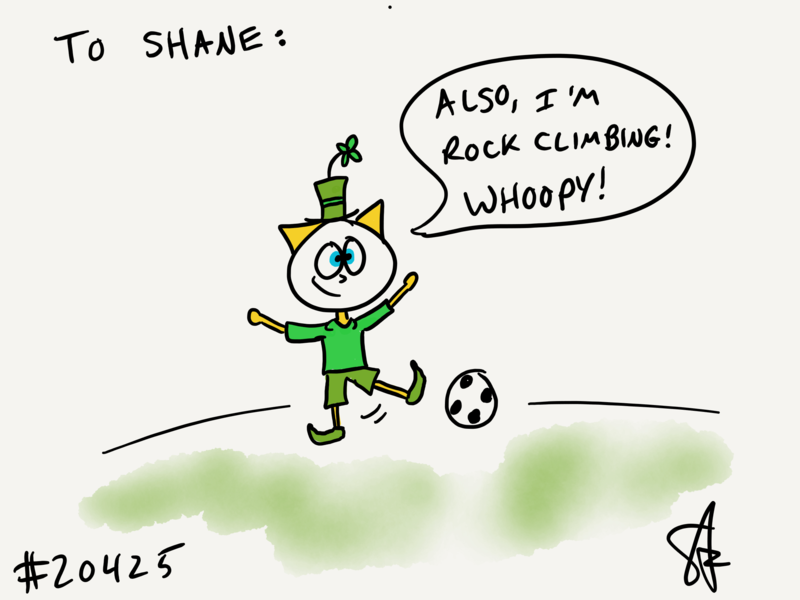 Shane wanted a Leprechaun cat kicking a soccer ball while rock climbing! Whoopy!